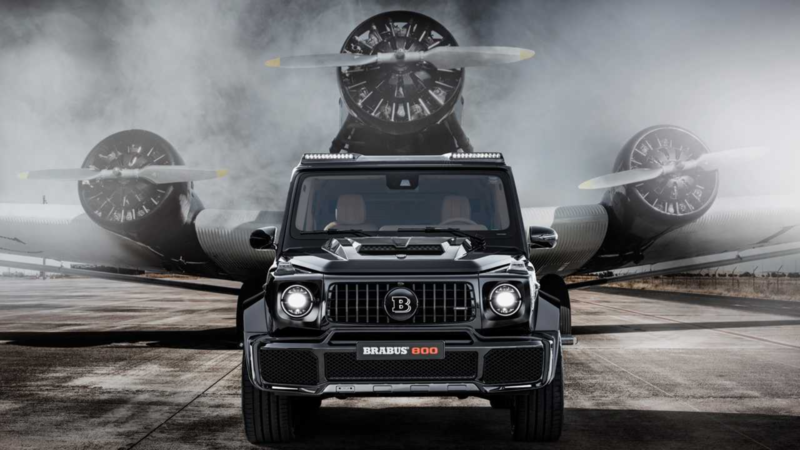 Slideshow: The 800 Widestar is the latest Brabus creation. Under the hood of this tuned Mercedes-AMG G63 is a turbocharged 4.0-liter V8 that's capable of making up to 800 horsepower. The surgeons at Bottrop have decided to pump some steroids into another Mercedes G-Wagen. This time, it's a G63 dubbed the 800 Widestar. Brabus never lets anyone down. Their years of knowledge continue to produce high-performance vehicles that have impeccable power, individuality, and design. The Brabus 800 Widestar is 4 inches wider, thanks to larger and more muscular front and rear fenders. The front has adequately sized intakes that provide enough air for the engine and brakes. The hood has a carbon-fiber bulge housing a monstrous and capable power unit. The radiator grille, rear ends, and sides are illuminated with the Brabus logo, showcasing exactly where this G63 originates from. >>Join the conversation about this the Brabus 800 Widestar right here in MBWorld.org. The widebody kit works well to accommodate large 23-inch Brabus "Platinum Edition" Monoblock hi-tech forged wheels. These offer the perfect mix of strength and lightweight construction. They are available in 4 different designs and come painted in high-gloss black. There's also a "BLACK PLATINUM" badge engraved on the outer flange and 305/35 R 23 high-performance tires. For the minimalists, a smaller set of between 20- to 22-inch wheels is also available. 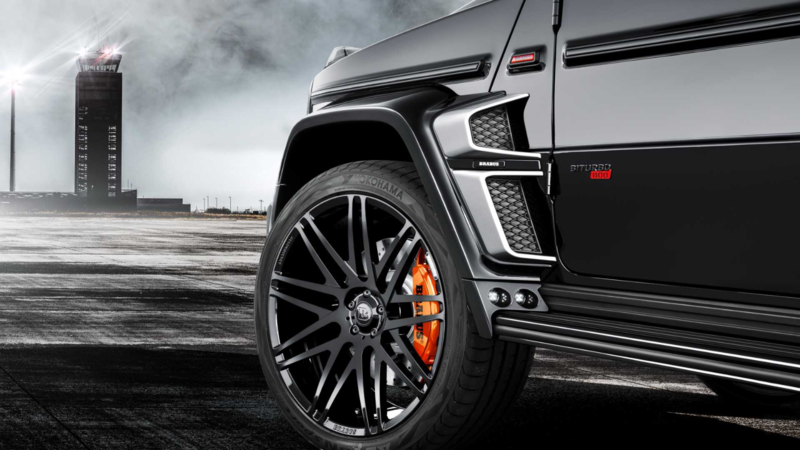 The team at Brabus added a spare wheel cover at the back and a custom skid plate both covered in carbon fiber. A roof-mounted wing adds to the overall sportiness of the 800 Widestar. There are LED lights up front and towards the fender flares that provide enough lighting and safety during night driving. Thanks to the Keyless Go feature, pulling the door handle lights up the running board LEDs and the Brabus logos located behind the front flares and within the fender attachments. Extensive operations on the engine involved replacing the original twin turbo with double reconfigured Brabus high-performance turbochargers. A bigger compressor unit was installed and the core assembly was modified to include reinforced axial bearings. The resulting boost pressure now stands at 1.6 bar. The electronic engine control assembly was adjusted to keep up with the hardware. There's an additional control unit that now includes controls for injection, ignition with exclusive mapping, and boost pressure. The most important part of a Brabus upgrade is probably the engine. Hidden beneath the 800 Widestar is a bi-turbo 4-liter V8 engine that comes with an additional 212 horsepower and 111 pound-feet of torque. In total, it churns 789 horsepower and 737 pound-feet of torque, which is enough power to get this monstrous machine from 0-62 mph in 4.1 seconds. 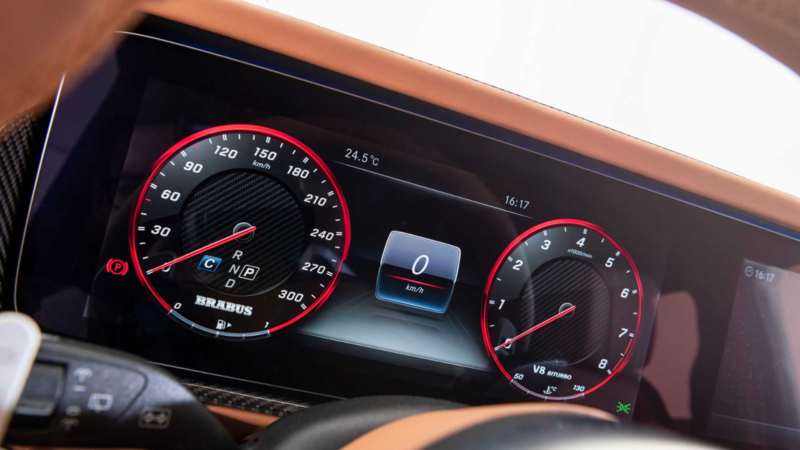 There's an automatic 9-speed transmission that can be shifted manually thanks to the Brabus Race aluminum paddle shifters mounted on the steering wheel. The 800's top speed is electronically limited to a mere 149 mph. According to Brabus, this is due to its weight. No one knows how fast this beast can go without the limiter. 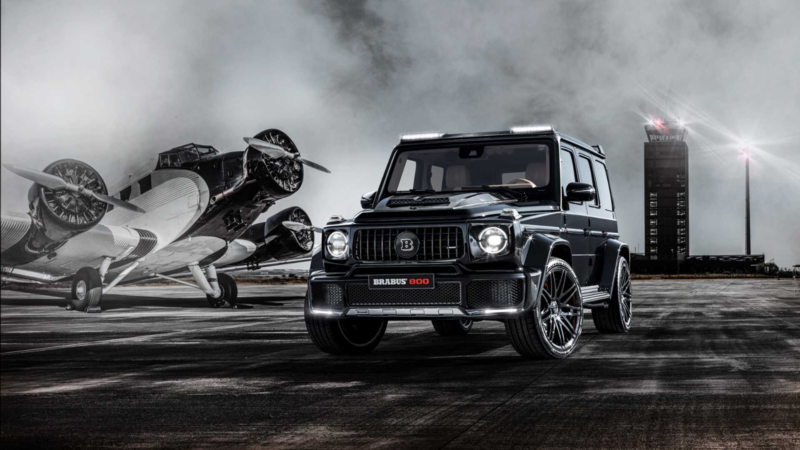 Tests on the new Brabus 800 Widestar engine ran for weeks to counter-check the endurance and calibration. This was also done to ensure that the 800 delivers flawless durability amidst the astonishing power. 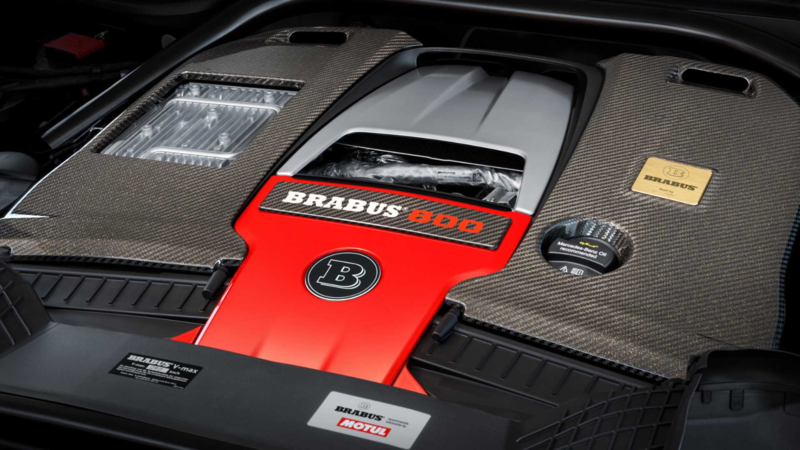 The tuner is backing up the new upgrade with a 3-year or 60,000-miles Brabus Tuning Warranty. They also recommend using hi-tech powertrain lubricants from MOTUL, their technology partner. 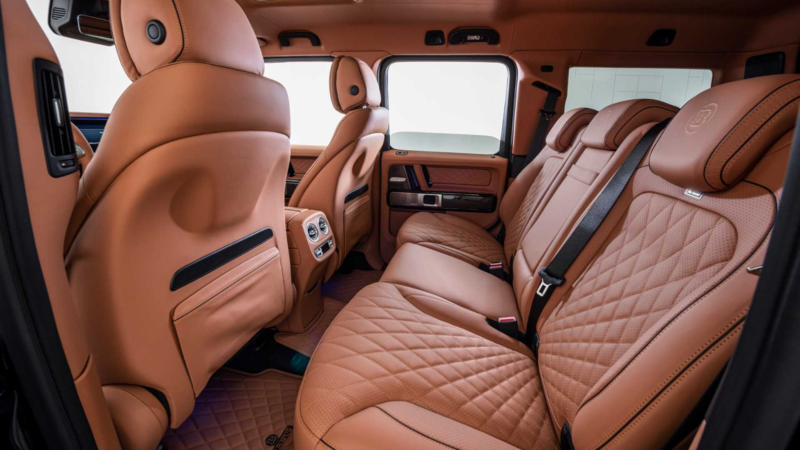 In addition to messing around with the engine and body, Brabus took some time to upgrade the cabin with Cuoio leather, black accents, and diamond quilting. 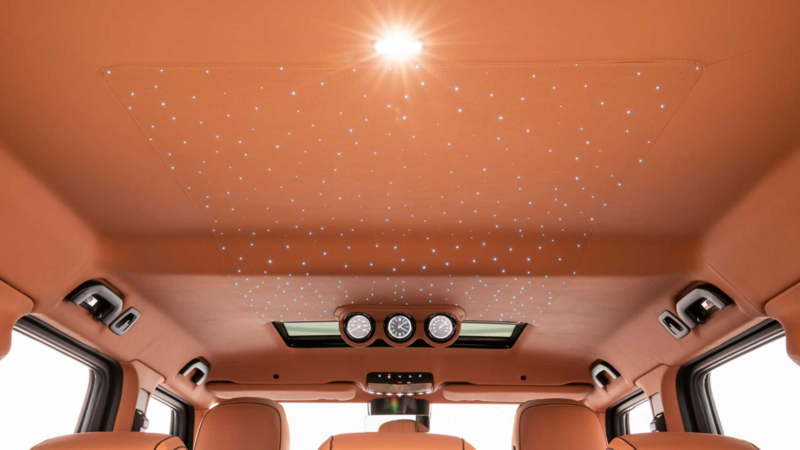 The headliner comes wrapped in Rolls Royce-inspired Alcantara which provides a unique ambiance during the night. The interior can be customized to the owner's preferences. Most of the inlays feature carbon fiber and noble wood. LED reading lights are also provided for the rear passengers. There's a host of designs and colors to choose from. Other additional touches include Brabus aluminum door-lock pins, stainless scuff plats, and pedals. 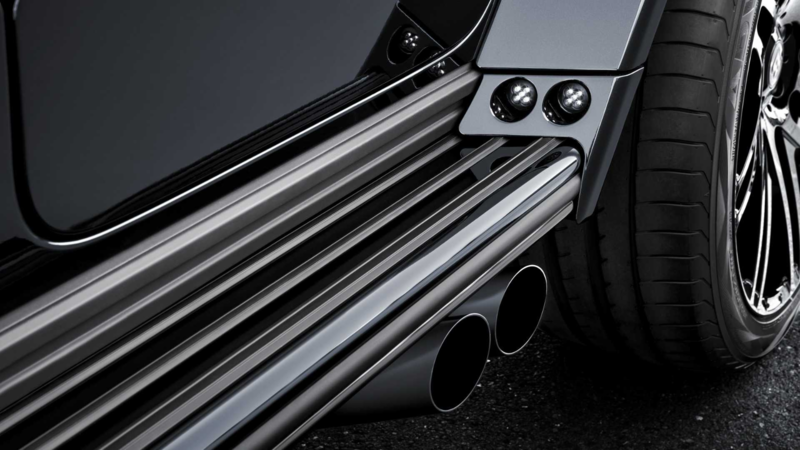 There's a Brabus stainless-steel exhaust system in place that optimizes the performance of the 800 Widestar. It features actively controlled exhaust flaps and a sound management system that allows you to choose between a calm "Coming Home" mode and a snarly "Sport" mode. 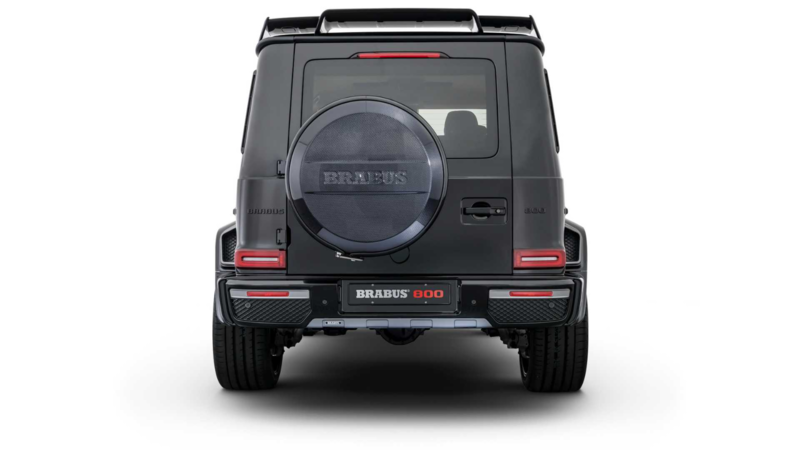 There are two tailpipes exiting right in front of the rear wheels and striking visual highlights that supplement the overall look of the Brabus 800 Widestar.